The recent onslaught of film-to-TV adaptations isn’t going to ease up anytime soon, I’d imagine, so it’s good that there are so many to choose from, and that some of those movies happen to be based on excellent books. Premium network Epix has decided to go big for its next foray into original scripted programming, as it has ordered to series Get Shorty, a dark comedy based on the Elmore Leonard novel of the same name, which was previously made into the suave 1995 film. Unfortunately, there will apparently be no John Travolta involved, and we won’t even get Chili Palmer as our main character. This modified and modernized take on Leonard’s source material will center on Miles Daly, a tough guy working as the muscle man for a deadly ring of criminals in Nevada. He wants out of that life, in order to give his daughter a safer environment, so he makes a location change to Los Angeles, where he attempts to get his foot in the door as a movie producer. But as anyone familiar with this kind of tale knows, Miles Daly may have left the trouble, but it definitely hasn’t forgotten about him. Thankfully, Get Shorty’s narrative in the novel (and Barry Sonnenfeld’s faithful film) aren’t so tethered to the specifics of the story that alterations can’t be made smoothly. The basic show description is exactly the way to set things up so the plot can be expanded over the course of a season, and it’s one that could definitely last for years on end. Crime comedies that poke fun at Hollywood are always a good time, especially if the sunglasses budget is extravagant. Putting Get Shorty together for Epix is Davey Holmes, who has been a TV writer and producer for the past decade, and on a variety of different shows. He’s been with Damages, In Treatment, Pushing Daisies, The Chicago Code and Shameless, to name a few. Nothing that guarantees this will be a supreme adaptation, but there’s definitely optimism to be had. Known more for movies than TV – and making headlines recently for something else entirely – Epix taking on Get Shorty is a good way to bring a recognizable brand to these early days of development. (Epix’s first show, Nick Nolte and Sela Ward’s political satire Graves, will debut later this year.) FX’s Elmore Leonard-infused drama Justified is definitely proof positive that an expansion of the author’s worlds can make for gripping TV. And if the TV show can attract even a quarter of the talent that starred in the film, then this could put Epix on the map. 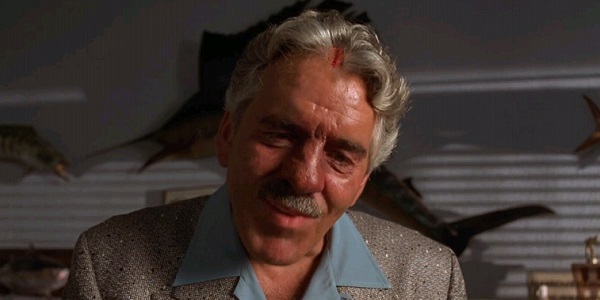 There will be no replacing Dennis Farina, though. While we don’t automatically expect the small screen Get Shorty to outshine the movie, at least right away, we’re okay with using the sequel Be Cool as the first barometer for the show’s success. Expect it to go into production later this year, so that it can hit Epix at some point in 2017.